Growing houseplants from seed in containers can be fun, exciting and sometimes even a bit challenging. If you have no experience in gardening, houseplants are a good way to start as they usually cause little hassle. It doesn't matter what choice of houseplant you go for, gardening is relaxing, even indoors, and it will bring you a lot of joy. Container grown houseplants are a wonderful way to keep busy and makes a great hobby. 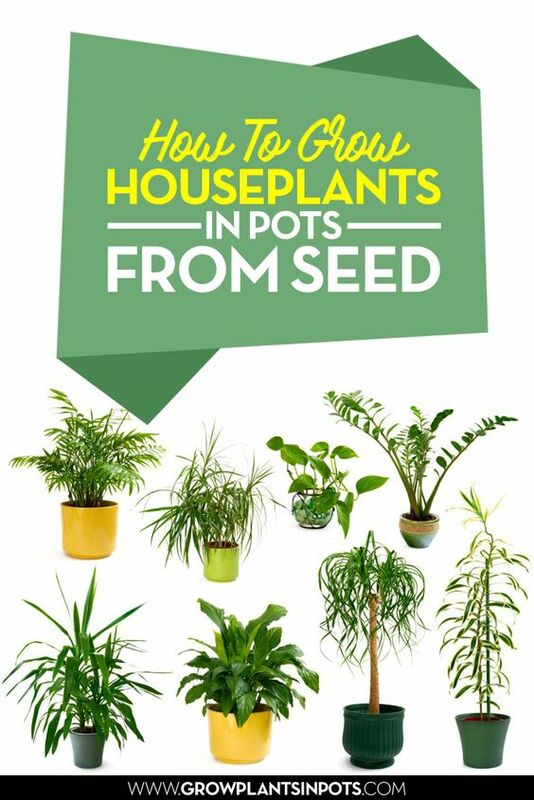 Grow Houseplants In Pots From Seed! 1. Choosing a plant to grow: When thinking about how to grow houseplants in pots, you should consider the conditions of your home or area where you plan on keeping the plants. You must commit to having enough sunlight, warmth, drainage and air circulation if you want to give your plants the best start. Pot grown houseplants require solid potting mixture and a good watering system. 2. The planting process: Once you have decided on a container for your plants; either a self-watering container or one with a drainage hole in the bottom, it is time to plant the seeds. Sow seeds to a depth of 2 times their width and cover with compost or soil. Keep moist and out of direct sunlight and expect germination anywhere from 1 week to 1 month. Transfer seedlings to smaller pots and as the plant grows transfer to larger containers. 3. Potting houseplants: If you prefer to simply pot houseplants rather than growing them from seed, is a very easy job that even kids can do! Gently put the plant into a pot or a container and back-fill with potting mixture, soil or compost. Remember that indoor plants grow at a slower pace than outdoors pot plants, so you don't need as big a container. However, make sure your pot is at least twice the size of the root ball, and if it's a very young plant, you may need to allow a space 4-6 times the size. 4. Nutrients: Just like people, plants need plenty of nutrients to keep healthy, and the only way they can obtain those very needed nutrients is from the actual growing medium. Therefore, you may want to consider feeding your houseplants plant food in the form of natural minerals, or if you opt for fertilizers you may need to flush the soil, as most fertilizers contain salt. Houseplants grown in pots generally cause little trouble if kept moist and allowed adequate sunshine, but sometimes pests prevail despite the very best efforts to keep them healthy. In that case you may think about using some fungicide drenches or natural pest solutions. 5. 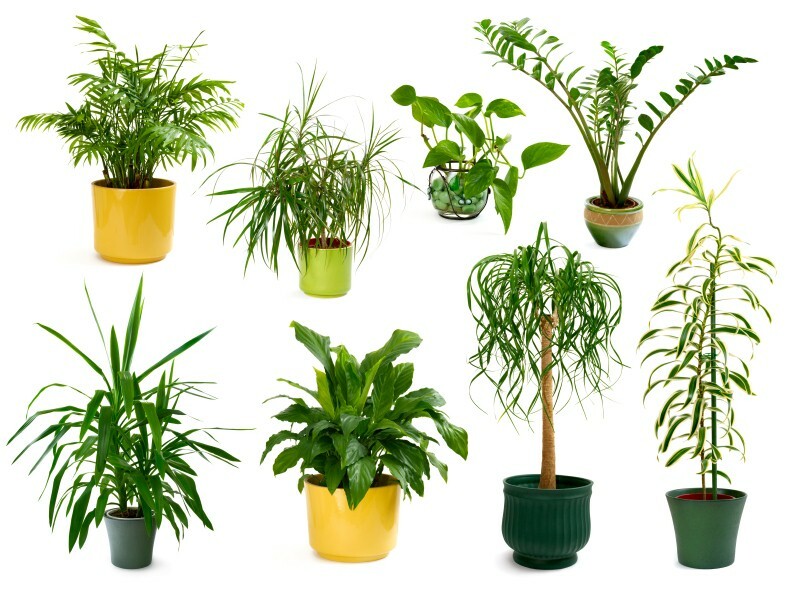 Decorate and Purify: Houseplants are a wonderful way of decorating your home and purify the air. Plant them in lovely containers; you can use ceramic pots, plastic pots and planter boxes, but make sure that you always allow for proper drainage. Also consider the humidity level as most houseplants strive between the 30% - 50% mark. Growing houseplants in pots can be particularly fun for kids, as it can be a rewarding experience to see how a plant develops and grows. With good potting mix, drainage and care you should have a good chance of growing your very own houseplants in pots from seed, so why not start the journey today?